“ACCESSORIES” IS THE CATCH-ALL category where we lump everything that isn’t something you cast, crank, tie/tie on, or wear. But when you think about it, this “accessories” product area is where a lot of the money in fly fishing gets spent. From nippers, to zingers, to tools and fly boxes, strike indicators, coolers, carriers, and other gadgets that deserve their own descriptions—fly fishing revolves around the “gizmo,” for better or worse. Accessories also happened to be the largest category (in terms of entries received) at the recent International Fly Tackle Dealer trade show in New Orleans. If necessity is indeed the mother of invention, there is no shortage of need for newer, better accessories for the fly angler. And these products—ranging from the ingenious, to the quirky, functional and fun—are worth considering as new components in your personal fly fishing tool box, or as a gift item for the angler who has (almost) everything. 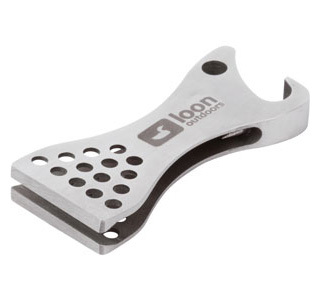 The “Nip & Sip” from Loon Outdoors won hearts and minds of International Fly Tackle Dealer (IFTD) show voters in the most entered and hotly contested category because it combines both nippers and a bottle opener in one handy tool… go figure. CasTarget from the National Fishing in Schools Program is specifically designed to help teach fly fishing. 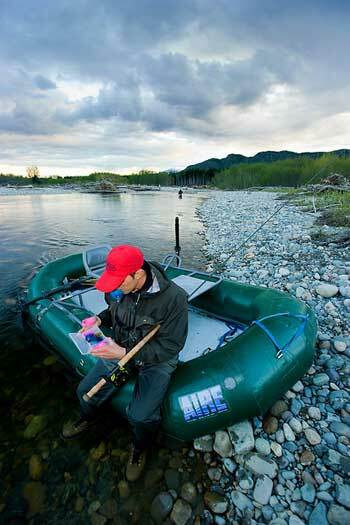 It’s a patented system with a round “bullseye” target, and also shaped fish targets that cling to Velcro. The Montana Fly Company Boat Box, won IFTD Best of Show honors in the fly storage category this year, because it’s ideal for storing patterns on any boat (or closet, or truck, for that matter) and it’s 100 percent waterproof. REC is co-manufacturing a line of new fly boxes from Richard Wheatley of England called “The Lady Wheatley Series,” as well as a “Patriot” series that features catchy state and national flags. 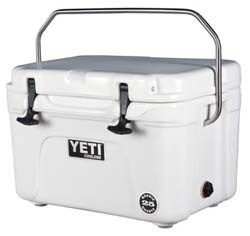 You’ll also find a new range of fly boxes from Umpqua, Cliff, Wapsi, and Freehand Fly Fishing. To help eliminate the spread of aquatic invasive species Waterworks/Lamson created a Gear Shower, which is filled with tap water, transported to the river, and then used to rinse away all grit and grime from gear and waders. Montana Fly Company is offering some stylish iPad covers with fish art designs, as well as some catchy travel mugs. Adventure Products and Orvis have both come out with interesting landing nets (the Orvis net is folding), as has Adamsbuilt (for boats). Lunker Tools is introducing a new line of stainless steel fishing tools that feature colorful graphics-wrapped handles. Also in the tool/gizmo department, Streamworks is making a new forceps model, Mystic Rod Company is marketing a zinger/retractor, and Fish Pimp is offering a slick “Select X Tippet Dispenser.” Eye Tie has an innovative new fly threader, and Cablz, the eyeglass retainer company, now offers an adjustable design. The “Revive” fishing scale by Nautilus is an IFGA certifiable travel scale that travels easily, and helps you travel by weighing your luggage, as well as fish. Watermaster is introducing a “Kodiak Loaded Package” personal watercraft that has everything an angler needs to pump up and fish, while NRS taps into the stand-up paddleboard craze with a highly-fishable (and transportable) “Reel Stand Up” model. We’ll be covering other watercraft, like the Freedom Hawk Pathfinder, as well as various tubes, rafts, and drift boats in a more detailed boat review down road. For now, there’s more than enough to grab your attention in the accessories department.